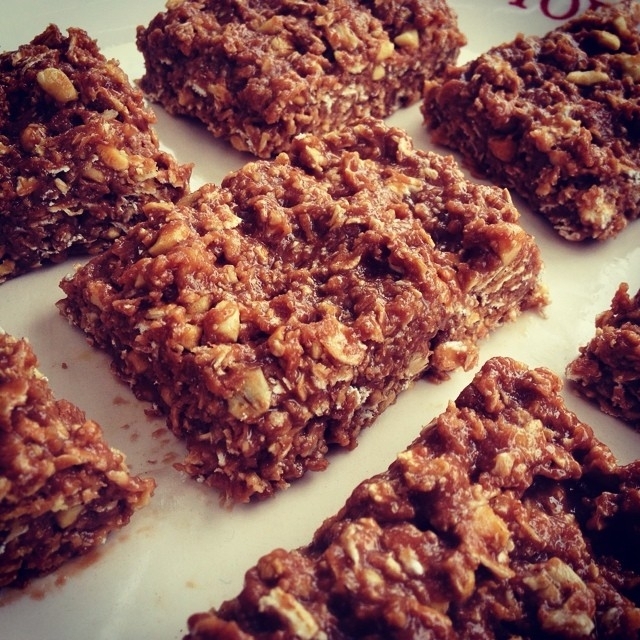 Ripped Recipes - Protein Flapjack! Home » Recipes » Snack » Protein Flapjack! Super versatile and delicious protein flapjack! This recipe is super simple and customisable. Just mix together 1 and 1/2 cup oats, with 1/2 cup unsweetened almond milk, 1/2 cup nut butter and 2-3 scoops of whey protein. Combine thoroughly, pour into a tray, pop into the fridge or freezer to set, and then chop up into slices! You can use whatever variety of nut butter and flavour of protein, such as the classic peanut butter with chocolate whey !